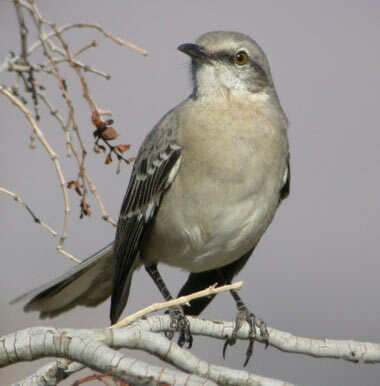 Northern mockingbird singing on mesquite branch photo © Henry Detwiler / Southwest Birders (used by permission). 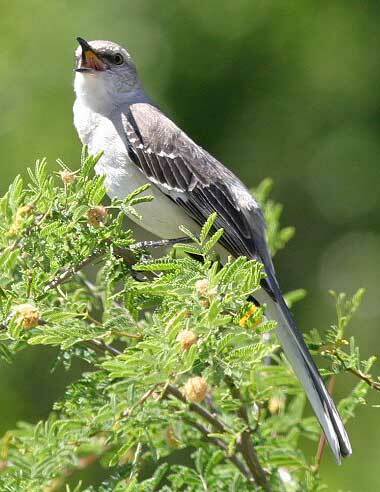 Northern Mockingbirds have extraordinary vocal abilities; they can sing up to 200 songs, including the songs of other birds, insect and amphibian sounds, even an occasional mechanical noise. 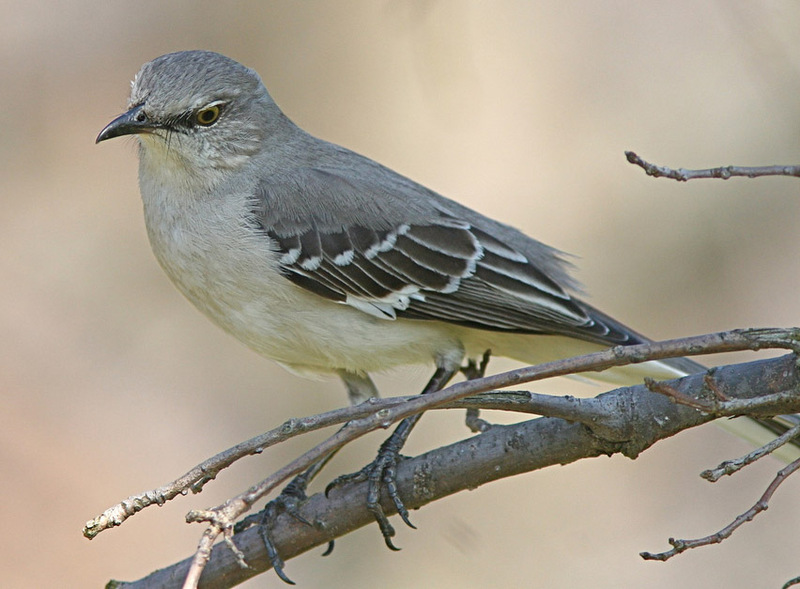 The northern mockingbird is also the state bird of Florida, Arkansas, Tennessee and Mississippi. 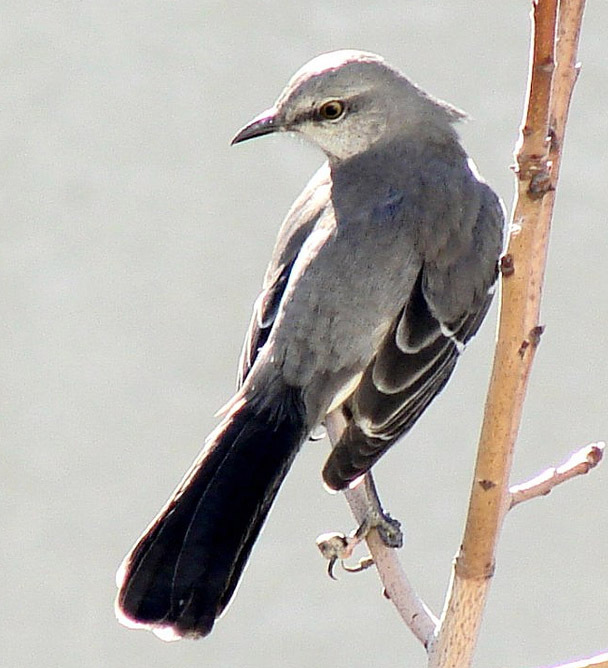 The Texas legislature noted that the mockingbird; "... is found in all parts of the State, in winter and in summer, in the city and in the country, on the prairie and in the woods and hills ... is a singer of distinctive type, a fighter for the protection of his home, falling, if need be, in its defense, like any true Texan ..."
Northern mockingbird; photo by Dawn Ellner on Flickr (use permitted with attribution). Northern mockingbird; photo by Henry T. McLin on Flickr (noncommercial use permitted with attribution / no derivative works).